Today’s post subject, Maya Angelou, is a “poet, educator, historian, best-selling author, actress, playwright, civil-rights activist, producer and director” so it’s no wonder she’s often referred to as a Renaissance woman. First stop is definitely her official web site where you can read a biography, read the latest news, and check out videos & photos. CBS News has a new series entitled “Note to Self” where various figures are asked: “If you could offer insights and advice to the person you were as a teenager, what would you say?” Click here to see what Maya Angelou had to say. Voices From the Gaps has an extensive Angelou page. There are thousands of videos available on YouTube of Angelou’s interviews, lectures, and speeches. Here’s her reading at President Clinton’s inaugural. Amiri Baraka, formerly known as LeRoi Jones, is today’s post subject and was a major influence of the Black Arts Movement. Modern American Poetry offers up a biography with historical context as well as a few short interviews and one lengthy conversation. His (official?) site can be accessed here with access to information about his work, life as well as photos. Today’s post subject, Toni Morrison, celebrated her 81st birthday last Saturday – Happy Belated Birthday! Morrison is a Pulitzer AND Nobel Prize winner with an impressive body of work, which includes Sula, The Bluest Eye, Song of Solomon, and Beloved. Read a lengthy biography at Voices From the Gaps – the site also provides some analytical critiques of her more famous works. The Toni Morrison Society offers a number of resources as well as a photo gallery. YouTube has over 1000 clips and videos, which includes lectures, speeches, and interviews. You can read about her Nobel Prize win here. The University of Buffalo has a number of general links as well as links to essays on specific novels. Here is a beautifully put together fan site. The Ohio Reading Road Trip web site provides a number of Morrison related links. Since today’s post subject, bell hooks, has made an appearance on an LHS Writing Center flyer, I thought it a good idea to devote today’s appreciation to her. The University of Minnesota’s Voices from the Gaps has a wonderful biography as well as a bibliography for hooks. 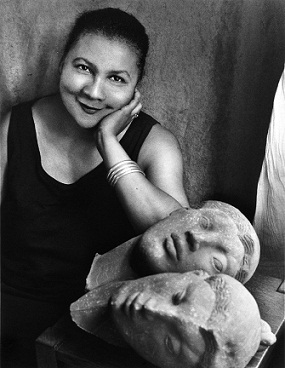 allaboutbellhooks is a wonderful fan site that’s all about bell hooks – the site contains links to articles, videos, and interviews as well as information about her works. hooks has been a long-time contributor to Shambhala Sun and the site offers access to a number of her articles. You can find a bunch of videos of hooks speaking here. This Canadian site offers links to all kinds of resources. Today’s post subject, Ralph Waldo Ellison (who, coincidentally, was named for a very famous Ralph Waldo), was inspired by the book I’m currently reading, Invisible Man, which is also Ellison’s most famous work. Have you read it? What do you think? The PBS show American Masters provides a page on the author as well as a career timeline. Check out news and reviews from the archives of the New York Times. This link takes you to even more links that focus on Invisible Man. Photos of first edition copies can be viewed here. Wednesday’s post subject Langston Hughes inspired today’s post subject Lorraine Hansberry? Can you guess why? To learn more about Hansberry, check out Perspectives in American Literature for a biography, primary works, and a bibliography. Should you find yourself in San Francisco consider visiting the Lorainne Hansberry Theatre. You can check out her neighborhood here as well as other prominent Chicago residents. Have you seen the 1961 movie starring Sidney Poitier? If you haven’t yet, I strongly recommend it. Sidney Poitier is an amazing Walter Lee Younger. Has anyone seen the 2008 version with Diddy? What did you think? I’m sure most of you have at least heard of, if not read the works of, today’s post subject – Langston Hughes. You can check out an interactive (or text) timeline of his life at PBS. The site also offers four works from Cora Unashamed, two short stories, and a poem. For a textual biography, check out this site (the photo also links there). Hughes’ poems are available online here – have a favorite? Hughes made it on to a stamp as part of the USPS’ Black Heritage Stamp Series, which started in 1978. The Langston Hughes African American Film Festival takes place every year at the, appropriately enough, Langston Hughes Performing Arts Center in Seattle, WA. The festival takes place April 14-22 this year and they’re looking for submissions. Your Lincoln Library has quite a few works to check out that are by and about the artist.